The laws governing seamen’s rights are unlike any body of law relating to litigation on land. Under bodies of law such as the Merchant Mariners Act (Jones Act) of 1920 and the Commercial Fishing Industry Vessel Safety Act of 1988, you are protected by the federal government as wards of the court. In the event you or your family has a claim for damages because of an injury, wrongful death or unfair wage practices, you are entitled to appeal to these laws and their specific terms and conditions. 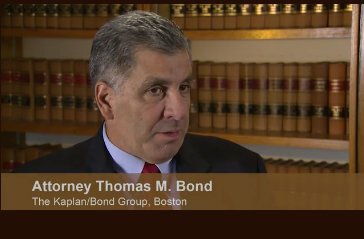 THE KAPLAN/BOND GROUP is one of the nation’s premier law firms representing clients in all areas of litigation, contract law and transactions relating to commercial seamen and merchant marine law. Our trial attorneys are experienced at every level of state and federal court, including successful appeals before the First Circuit and the U.S. Supreme Court. In the landmark 2005 case, Stewart v. Dutra Const. Co., 543 U.S. 481 the U.S. Supreme Court ruled in favor of our client and expanded the rights of injured seamen and fishermen nationwide. The Stewart decision is only one example of an important verdict or settlement that shows our ability to challenge admiralty and maritime law and, when necessary, change it. Wherever you are in the United States, call us at (617) 261-0080 or contact our office in Boston, Massachusetts by e-mail to arrange a consultation with one of our trial attorneys. We believe that rights don’t begin or end with a U.S. passport. ALL injured workers, including visitors, U.S. citizens and “undocumented” workers or residents, may be eligible for accident benefits under both state and federal law. Contact our offices to schedule a free consultation. We have Spanish interpreters on staff.